Home > Holiday Deals > 20% off Custom Southern Quilts – You’re Going to Love This!! 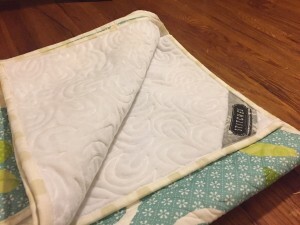 20% off Custom Southern Quilts – You’re Going to Love This!! Y’all, I’m so excited to share a new-to-me company that is making beautiful custom quilts! 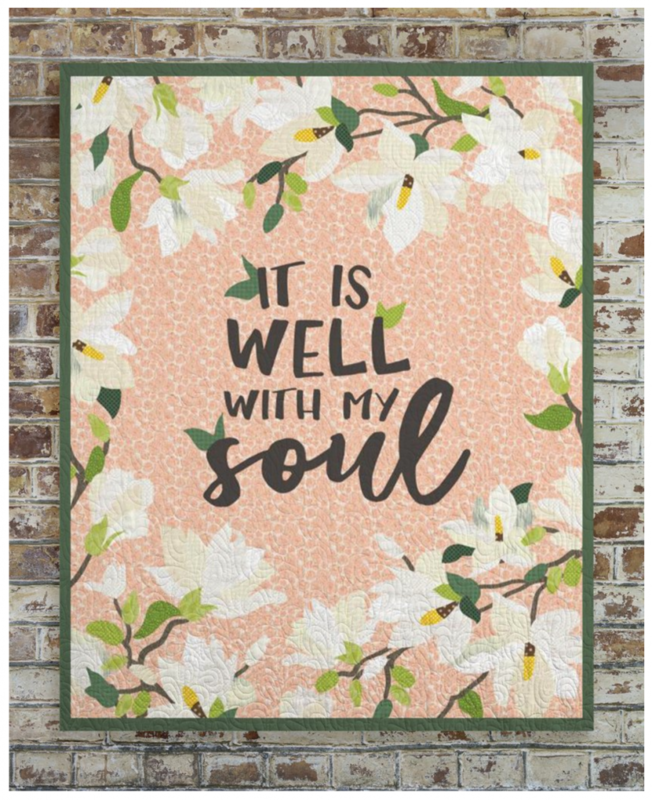 We got together a month or so ago and designed a few southern quilt designs (complete with magnolia flowers even) that they now have available. I feel like I’ve just added something new to my resume… I not only coupon and run a crazy busy house but I design quilts in my spare time. It sounds nice doesn’t it. Seriously though I just told them what I wanted and they did all the hard work. 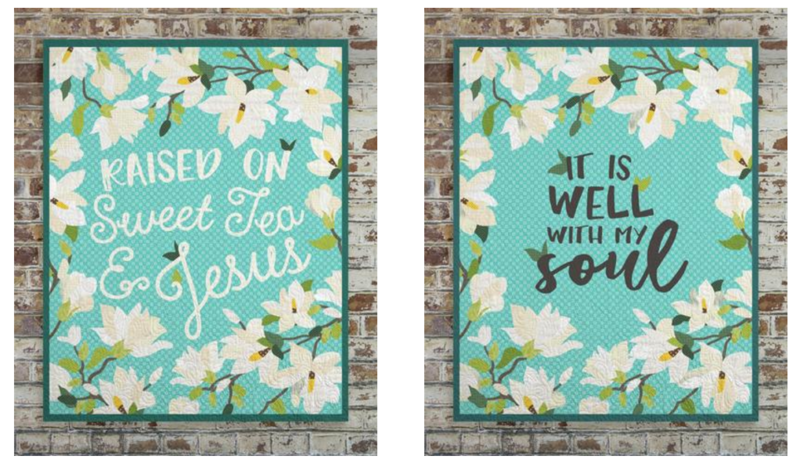 These are two that I helped dream up that are part of their Southern line, or add in your own quote to any design. 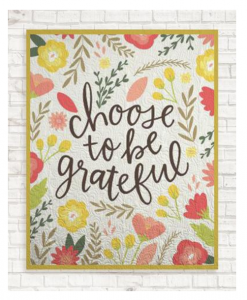 They also do custom baby quilts and even wall hangings. Check out all of their beautiful designs. In honor of my debut in quilt designing, they are offering everyone 20% off your order with code SOUTHERNSAVERS. This is only good for the next week. You’ll also get free shipping with any order. 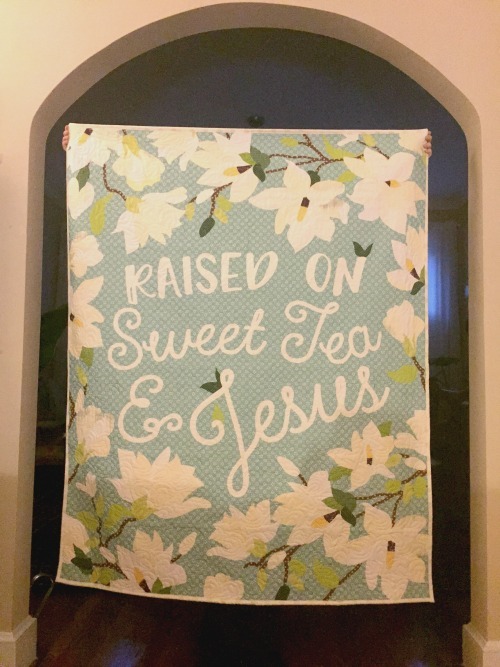 I personally went with the “Raised on Sweet Tea & Jesus” design. It’s absolutely gorgeous in person. I love the colors and the size. I went with the larger 50 inch size, here’s an idea with a friend helping me hold it up. Want one for Christmas? 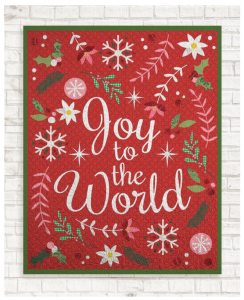 They aim to ship all quilts 10 arrive within 10 days of your order, so you are set to get these in time to give as gifts.